Welcome to the Brooklyn Made Resources section, a collected list of the tools and websites we strongly recommend for building, promoting and optimizing your business. We have tested and used every recommendation on this page. Many of the resources listed here are crucial to running any business (or were crucial to developing some of our past successful businesses to where they are today). Some of the links below are affiliate links, which means that if you choose to make a purchase, we will earn a commission.This commission comes at no additional cost to you. Please understand that we have experience with all of these companies, and we recommend them because they are helpful and useful, not because of the small commissions we make if you decide to buy something. 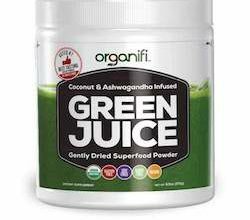 Led by co-founders Josh Bezoni and Joel Marion, BioTrust Nutrition is the premium, natural nutrition brand committed to excellence, integrity, and giving back. These core values shape BioTrust’s commitment to offering you products that are of the highest quality, purity, potency, and effectiveness. What’s more, these values reflect BioTrust’s untiring dedication to each and every one of our clients—just one of the many reasons BioTrust has been awarded an A+ rating by the Better Business Bureau. Our team is one carefully crafted of hard-working members who pledge an allegiance to do everything the right way with compassion, kindness, and honesty. Just like our three million satisfied subscribers all around the world, BioTrust is dedicated to helping you achieve your health and fitness goals by way of our premium supplements made with natural ingredients, our informative newsletters and reports, and our online community staffed with expert nutrition and exercise coaches. Hey, we love Butcher Box and I think you will too! They deliver 100% grass-fed beef, organic chicken, and heritage breed pork directly to your door with free shipping. Not ordering here would be a missed steak! I’m giving you FREE bacon for LIFE! If you love meat, this will become your favorite Butcher Store! 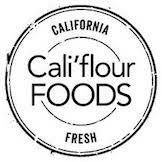 You’ve got to try Cali’flour Foods! Their no-stress, no-mess Artisan Flatbread Style Cauliflower Pizza Crust is a healthy and delicious alternatives to some of my favorites! With three Certified Gluten-Free Menus (Paleo, Keto, and Gluten-Free), Green Chef is now the first meal kit company to receive Gluten-Free Certification through the Gluten Intolerance Group’s GFFS program. We strive to spread education and awareness to our local and global community about health and wellness in hopes that we can one day impact the entire world. We believe in the ripple effect. If we can help one person overcome wellness obstacles, then that person just might tell a family member. That family member just might try something new, experience their own healing, and tell another, until, before long, we are all living happy, healthy lives and sharing the joyful good news with one another.